As Kermit the Frog once observed, it isn’t easy being green. With a few honourable exceptions, going green in the new car market involves spending a tidy sum on the latest hybrid, diesel or electric car. This situation can leave the environmentally conscious yet financially undernourished commuter feeling a little left out. Fear not – the used market is our friend. Manufacturers have strolled far enough down the efficiency path that there’s a good decade or more of truly economical, genuinely interesting low-emission vehicles to choose from these days, and some will set you back just a few thousand pounds. So trawl the ads, scan the internet or pick up the latest copy of Exchange & Mart, and hunt down one of these iconic used green bargains. Certain cars seem so far-sighted they appear to have been designed with the aid of a time machine. The Citroen DS, for example, or the NSU Ro 80. 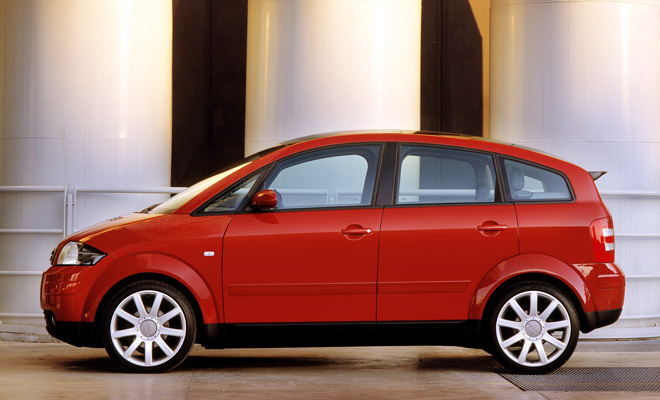 Few modern vehicles deserve a place on that list more than the Audi A2. Launched in 1999, the A2 makes its successors look curiously unimaginative and under-engineered, with its all-aluminium construction, low coefficient of drag and uncanny interior space. With a three-cylinder, 1.4-litre turbodiesel engine the A2 is also highly efficient – its combined-cycle figure of 65.7mpg has only recently been surpassed by eco-badged superminis, and it’s a figure that will be eminently more achievable than the high-80s numbers of the test-optimised modern-day equivalents. Best still, prices are finally softening. A high-mileage A2 TDI can be snapped up for little more than £2,000, though you’ll pay nearer £4,000 for a car with under 100,000 miles. 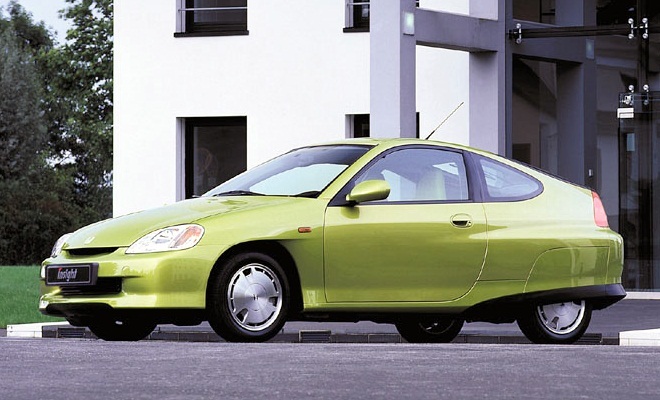 Now really is the time to buy a first-generation Honda Insight. Appreciated but never truly praised at launch owing to a high price tag, of around £17,000, the current £3,000 to £5,000 value on the used market is about as low as an original Insight is ever likely to go. Extreme rarity, an emerging modern-classic status, and the ever-increasing cost of fuel should see to that. 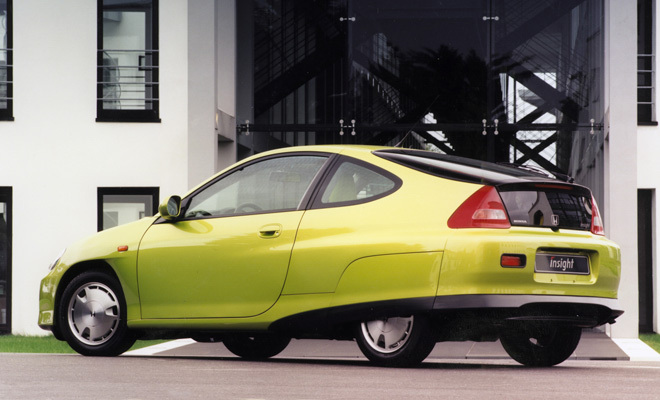 Like the A2, the Insight was truly a car ahead of its time. Also like the A2 it weighed very little thanks to an aluminium shell (constructed alongside Honda’s NSX sports car) two solitary seats, and the use of a tiny 1.0-litre petrol engine and Integrated Motor Assist hybrid system. Light weight and slippery aerodynamics led to combined-cycle economy of 83.1 mpg, with CO2 emissions of just 80g/km. 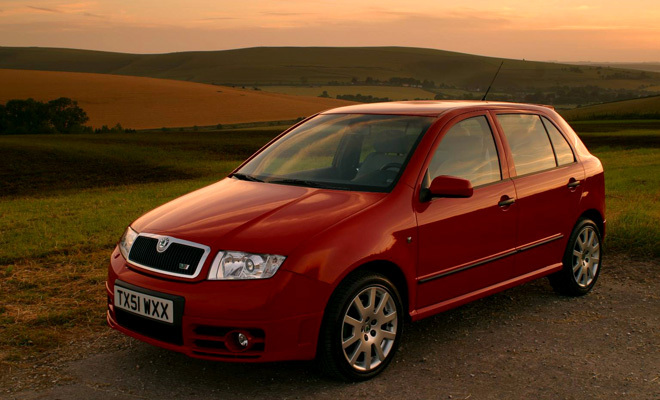 Unlike the other cars here, the Fabia vRS’s priority was never outright economy. But that’s what makes it special. Ignoring a few half-hearted attempts at the speedy diesel formula from parent company Volkswagen, the vRS really was the first diesel hot hatch – and its 1.9-litre TDI engine with 130 horses and 230lb-ft on tap offers truly muscular performance. In-gear acceleration is enough to trouble many bona-fide sports cars, and not many sports cars can surpass 50mpg with convincing ease, as the Skoda regularly does. Its popularity keeps used prices unexpectedly high – around £3,000 is a good entry price, but that will mean well over 100,000 miles on the clock. But they’re hardy little beasts even so. With economy and performance the vRS really is a case of cake: have and eat it. 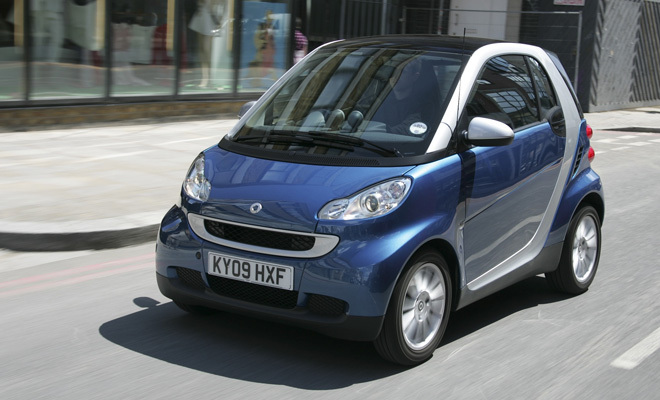 The Smart Fortwo CDI, in stark contrast, really doesn’t major on performance. In fact, given its diminutive dimensions, it’s more accurate to say it minors on everything – length, width, speed, and of course, running costs. Before all and sundry claimed 80mpg and more from their superminis, Smart gave you a good chance of getting close with its 85mpg CDI, from just 800cc of three-cylinder capacity. Performance is... modest. But conversely, the CDI feels a mite quicker than a basic petrol ForTwo as the tiny turbocharger boosts low-down performance to an acceptable degree. And since they’ve been around on the UK market since 2009, prices have had time to dip to acceptable levels – less than £5,000 will get you into an early 45bhp example. Last alphabetically but by no means least, we arrive at the Toyota Prius. The earliest first-generation Prius could have made an appearance here, but it was neither as economical nor as associated with the green scene as the second generation car. This is the car that set the template, and its slicked-back silhouette is now associated the world over with hybrids. 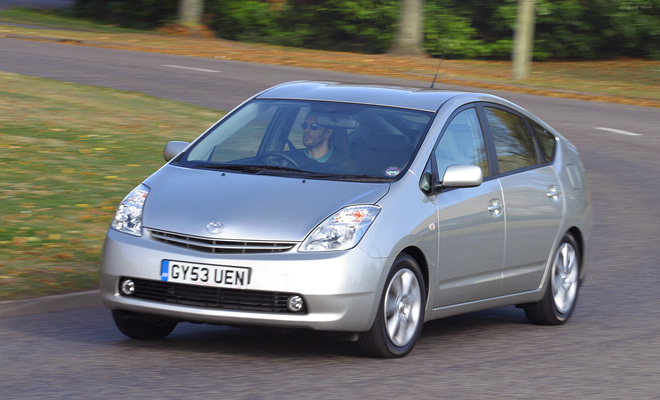 Hitting the UK in 2004, Prius 2.0 provided space and comfort, and still feels high-tech today. Look hard enough and you’ll pay under £4,000. That still gets you 65mpg economy and a low band B car tax bill of just £20 a year. Who needs a new car when the old ones are this good?